Ecotherapy, also known as green therapy and green exercise to name a few terms, is where we allow ourselves to connect with nature on some level which in turn has many health benefits for our bodies and our minds. It has become a bit of a buzz topic lately and more and more people are becoming aware that ecotherapy improves mental health. 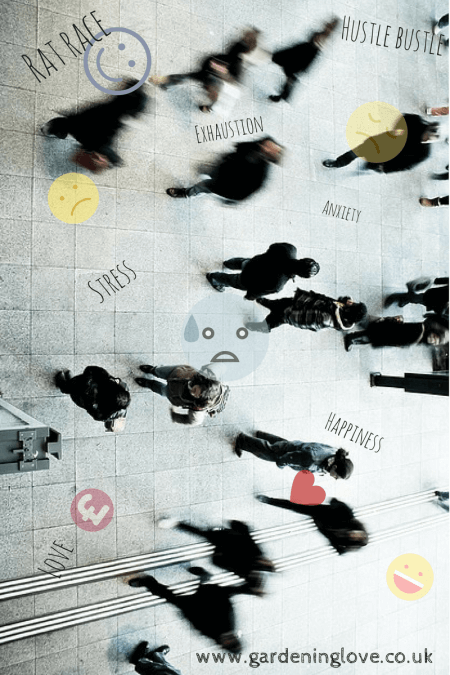 The business Of everyday life prevents the majority of us from being able to take a breather and gain some control of our stresses and problems. We know how we all feel after a well deserved break away. Relaxed and refreshed, just about ready to come back home to our stressful lives again. Society teaches us that it is important to look after our health. Eat our 5 a day, exercise regularly and to try to maintain a healthy life style. However not much is ever said about the importance of maintaining a healthy mind. It is only recently that mental health is starting to make an impact on the news and the media. It’s just not something that we as a society talk about enough and open up about, but that’s another post all together. How to look after your mind? I have depression and I have taught myself to talk about my mental health. It’s not been easy, but it’s been necessary to make progress in my life and for those around me to understand. So I am thrilled that we are trying to make progress in this area, even if it is slow progress. So back to Ecotherapy. For me personally, being out in nature is like having a regular holiday for my mind. Now obviously I don’t mean that I go on 10 mile hikes each day, (although having the time would be lovely 😊) what I mean is that I try to connect with nature in some way each day. I noticed that whenever I was outdoors, walking, gardening even just sitting in a grassy area, that I felt more relaxed and more aware of the moment. That there is the beauty and the power of ecotherapy. When we are out in nature we do take the time to stop and look at what is around us. To take in that beautiful view, to smell a flower, to admire the colours on a butterflies wings. These little moments bring our minds into the present. Into that very moment. And it is in that moment that we can gain control of our minds, thoughts and feelings. Now I’m not saying that ecotherapy is the cure and that there aren’t many other contributing factors to our mental health which we must take into consideration. But what I am saying is that I find ecotherapy improves mental health, it works for me. Even 5 minuets a day appreciating nature, outdoors, immersed in its beauty helps and it helps a lot. For that 5 minutes I am in control of my thoughts, my depression and my anxieties and I can’t recomend it enough. So on an end note, please talk to your GP for more information. I am not a health practitioner , this post is based on my own personal experience. There is also some excellent information on how Ecotherapy improves mental health over on the Mind website. Check out the Gardening Love shop for beautiful digital downloads to print and frame from the comfort of your own home, like this one! 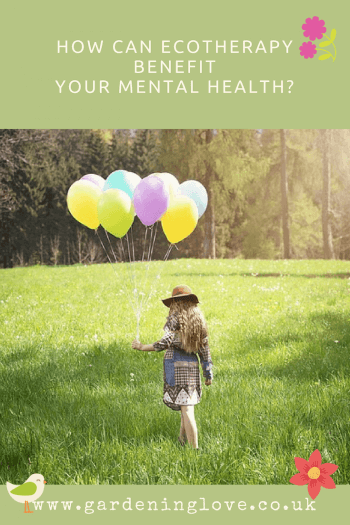 Do you use Ecotherapy to help with your mental health? If so, how does nature help you? What outdoor activities do you take part in? Please share your thoughts in the comments section below. 100% agree! Being out and about in the outdoors and closer to nature clears my mind and gets me to a place of relaxation. Great advice…creating a beautiful environment that is also therapy….